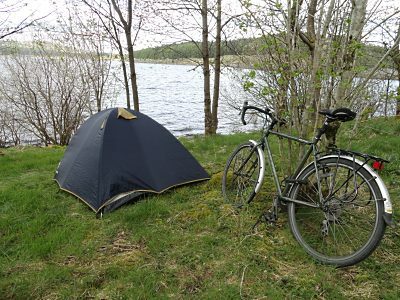 It rained all night, and it was a miserable cold squelchy start from the lochside campsite. Even the mad hen was taking shelter. 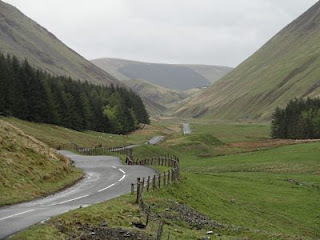 But with a hefty tailwind, the long downhill into Moffat was a delight (picture). As was Moffat itself, a handsome town with a good line in cherry trees and Scotch pies. Outside Moffat, on a Sustrans route, was this intriguing sculpture (picture). 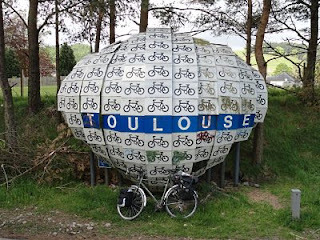 Having recently been cycling in Toulouse, I couldn't quite see the connect between the aircraft industry and Scotch pies. 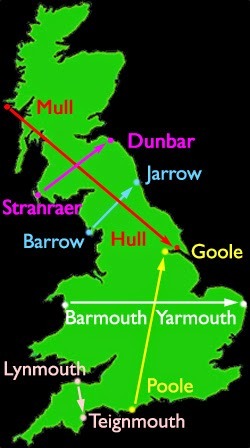 Having been through the longest village name in Britain on a previous Rhyming Coast to Coast, I couldn't resist dropping in to Ae (picture). 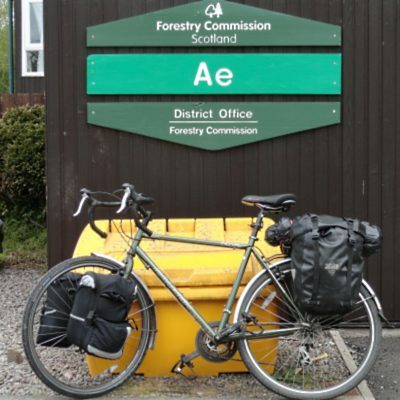 It's the shortest place name in Britain, and home to some excellent mountain bike trails in Ae Forest. There's also Ae Bike Shop and Cafe. It used to be written Æ, as a single-letter ligature, apparently. After quite a lot of pleasant backroads I got to Galloway Forest Park, and camped wild by the side of Clatteringshaws Loch (picture). I had the entire place to myself, and had no shortage of water to brush my teeth with.